Ferial Haffajee: Has Vodacom lost its marbles? At 10:00 on Thursday, Vodacom [JSE:VOD] shares were trading at R120.54, down 7%. A stronger performance by Vodacom's international operations helped offset the slowdown in SA to some extent. While group revenue increased 1.5% to R23bn, and total service revenue was up 2.4% to R18.9bn, South African operations were down, with SA service revenue slipping 0.9% to R13.9bn. 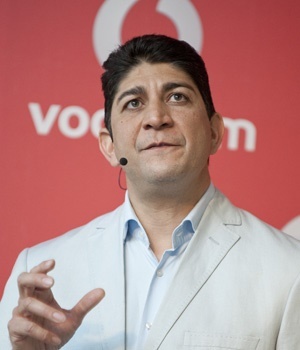 "We implemented a number of generous promotions in the quarter, including our SummerGigs campaign, in addition to the introduction of lower-priced bundled offers during the course of 2018," said Shameel Joosub, Vodacom Group CEO. "These efforts have impacted data revenue growth, as it did not yield the expected elasticity given a tougher than anticipated consumer spending environment." Joosub added that "proactive efforts" to keep customers in-bundle had reduced the mobile operator's future exposure to out of bundle revenues.